Lazy Oaf's new Shopify store showcases its cheeky slogans, vibrant designs and unique take on British fashion. Working with the wonderful team at Lazy Oaf has resulted in one of our most visually impressive website designs to date. Lazy Oaf, started in 2001 by Gemma Shiel, is a fast growing, creative streetwear label that can’t really be compared to any other clothing brand on the market. Lazy Oaf has grown from a simple stall in Spitalfields, where Gemma sold t-shirts that she hand printed in her Dad’s garage. Now she sells her designs out of her flagship boutique in Soho, London. They have a large and growing worldwide network of stockists and, thanks to their work with Eastside Co, a new Shopify ecommerce store. The brief was to create a website that was consistent with Lazy Oaf’s aesthetic, and create an engaging and interactive site that represents the creativity of the brand. Lazy Oaf are famed for their creative voice; their unique spin on streetwear; their unusual collaboration so a website that was flexible, and could evolve with the products, features, collections and content was a must. This allows Lazy Oaf’s new online shop to respond as the business does when it comes to industry developments, sales, new designs and branding. To find out more about how we designed and built the new Lazy Oaf site, head over to our portfolio. Lazy Oaf’s continued strong growth is truly international, with their clothing finding its way into the shopping bags of ever more customers, all over the world. Lazy Oaf’s search for a new platform that could support its future strategy concluded that Shopify, with its infinite scaleability and unparalleled security and its stability, was the perfect solution. These attributes are core to the Shopify platform, and with 99.97% uptime and unlimited bandwidth, there would be no limits on how the business can grow. To support this, they needed a website that was infinitely scaleable. Having reviewed a number of partners, Lazy Oafs decision to choose Eastside Co was founded on our experience in developing and designing high end, functional websites, as well as migrating clients from platforms like Magento, with no complications. Eastside Co spent the time to fully understand the clients needs and were able to fully appreciate what the brand was striving achieve. 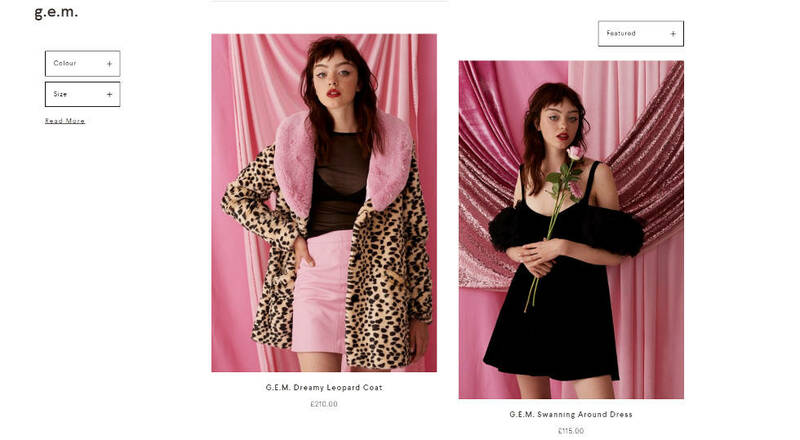 Eastside Co is the UK’s #1 rated Shopify partner, and Lazy Oaf recognised that in their selection. If your business is in need of a new website, or you need help with a seamless migration, contact us for a quote.